We're wrapping You're New Here Week by going back -- way back -- to the beginning. The Albany area has a long history, and it's important part of the story of this place. So we thought it'd be fun to put together a little illustrated history of Albany's 400 (or more) years... in just a few minutes. The guide for this quick video history is Duncan Crary. Illustrations by Greg Matusic. I haven't been new here since the late 70s, when a Bell System transfer brought my 3rd generation Brooklyn family to the suburbs of Saratoga Springs. In Brooklyn, my field trips were to Lincoln Center, BAM, and the Museum of Natural History. Nature was the Bronx Zoo and the Brooklyn Botanic Gardens. I saw my first Broadway show when I was 10. In Wilton, we had a mall with an arcade and a Montgomery Ward. So when we headed north, my parents scratched the surface to try to uncover what the area had to offer arts and culture-wise. My dad would drive my mother and all six kids to Albany once a month to see ESIPA - the resident theater company at The Egg back then. There was SPAC in the summer, and a drama club visit to a pretty well-worn Proctors that made me happy in ways I had no words for at the time. There were arts and culture to be had in the Capital Region back then, but you had to work a lot harder for it than you do today. Today it's everywhere. I can't even get to it all. So here are a few things I'd recommend. It's kind of funny that one of the good things about Albany is how close it is to other places! There are a bunch of interesting, fun towns, villages, and areas that are all within day-trip distance. So you can get out of town -- and be back home that evening. 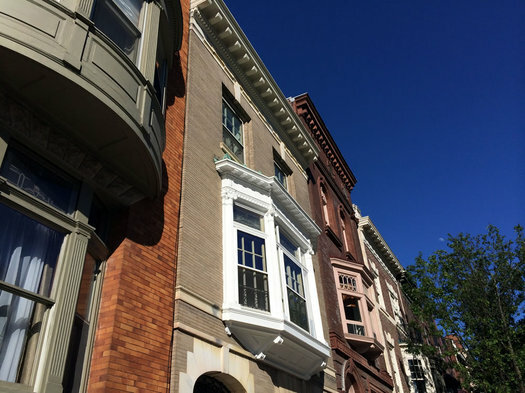 As one person responded: "The primary thing I've taken from Albany is an appreciation for the historic assets of a region, specifically the buildings. Without preservation a city loses its character and becomes aesthetically diluted and undifferentiated." Sometimes you find perspective with distance. 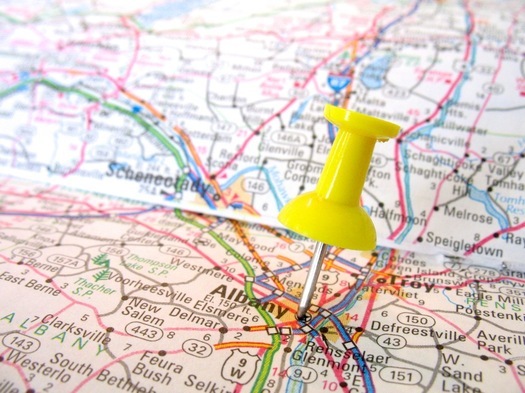 What's something you've taken with you from the Capital Region, and why has it been important or significant to you? It's an open-ended question, and we got a range of responses -- everything from memories, to experiences, to photos, to attitudes, to actual pieces of Troy. As You're New Here Week continues, we head outside. Jen has some suggestions to get you started hiking here. One of my favorite things about living in the Capital Region is our close vicinity to so many outdoor recreation areas. 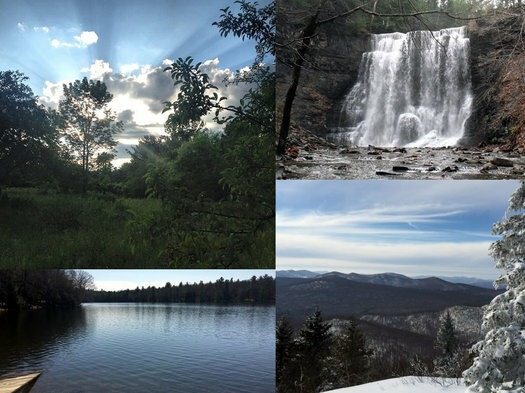 With many state parks and areas like the Adirondacks and Catskills, there is a little something for everyone to enjoy. Drawing's closed! Thanks for all the great answers! + A pair of season passes to Albany Civic Theater's 2016-2017 season. + A four pack of "loaded" tickets to see the Tri-City ValleyCats. Each ticket comes with a $10 voucher for food/drink. + $10 gift card for the Troy Waterfront Farmers Market and a market bag. + A pair of season passes to Schenectady Light Opera Company's 2016-2017 season. + A pair of season tickets to Schenectady Civic Players' 2016-2017 season. + Four indoor tickets to any New York City Ballet or Philadelphia Orchestra ballet performance inSPAC's 2016 classical season. 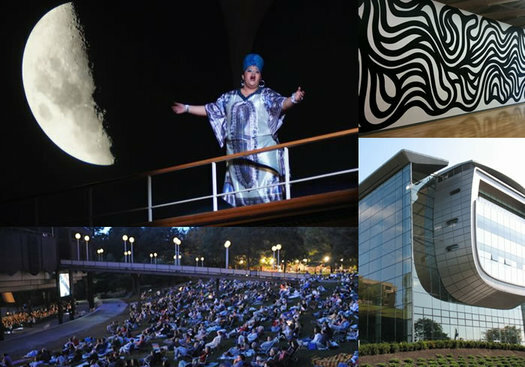 + Pair of tickets to any Home Made Theater production in the 2016 season. If you've lived here a while: What's something people should know about this place to help them understand it? Maybe it's a location, an experience, a history -- just something you'd share with others to help them better understand the place we live. If you're relatively new to the area: What's something you've learned about this place that's helped you understand it better? We'll draw one winner at random. That person gets the whole prize. Yep, the whole thing. Important: All comments must be submitted by 11:59 pm on Thursday, June 16, 2016 to be entered in the drawing. You must answer the question to be part of the drawing. (Normal commenting guidelines apply.) One entry per person, please. You must enter a valid email address (that you check regularly) with your comment. The winner will be notified via email by noon on Friday and must respond by 5pm on Monday, June 20. Welcome to You're New Here Week on AOA. All this week we'll have stuff to help get you acquainted with the Capital Region -- whether you recently moved here, or just want to see this place through new eyes. Having grown up in the Capital Region, I sometimes forget to notice how great this area is for raising kids. With mountains and cities, history and beauty within easy access, local kids are pretty lucky. 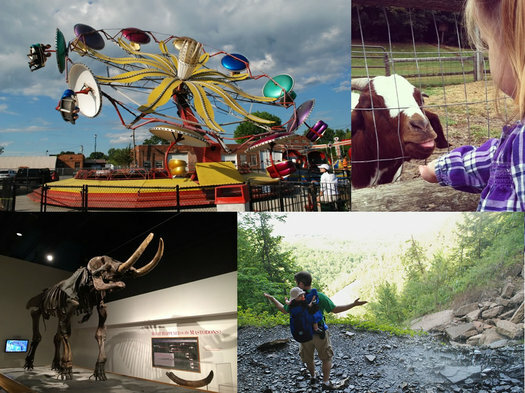 If you're new to the area and have little ones as members of your crew, there are plenty of great activities and destinations to discover. 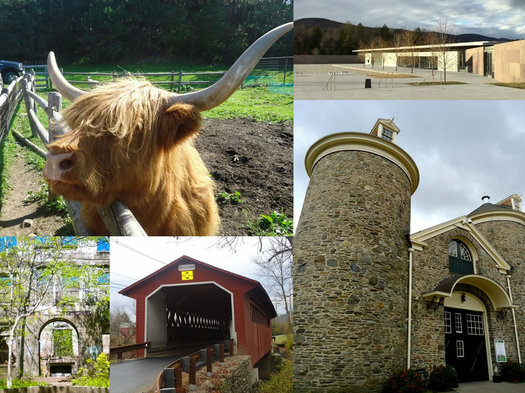 Albany and the surrounding areas are full of things to do and great resources. Most of the items on my list are things that I have fond memories of from my own childhood, which have also become favorites of my own kids. 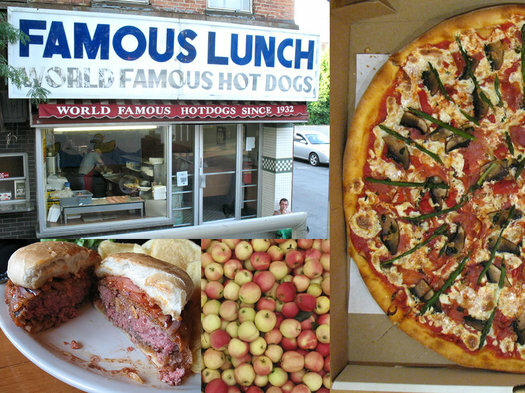 These are Capital Region classics and standards, the starter pack of local destinations that you'll return to over and over.